Neil Gaiman's Journal: Have I Actually Been Eaten By A Bear? Have I Actually Been Eaten By A Bear? Amanda is now 8 and a bit months' pregnant, and she wanted to have our baby off the grid, in the middle of the woods with nothing and nobody around but midwives, a doula, and me. Which seemed like an odd idea when she first floated it by me, but has come to strike me as more and more sensible in the last few months, especially when I would look at my deadlines. It's been a mad year anyway, and more and more things have crept onto my schedule: the idea of going off to a cabin in the woods and writing, away from phones or emails or any distractions seemed increasingly attractive. So I get the best of all worlds: undistracted time with Amanda, undistracted time with Amanda and the baby (when he appears), and relatively undistracted time to write. Photo by Kyle Cassidy, last Friday. Except, the birth-month is September. And September is the month when everything is happening. 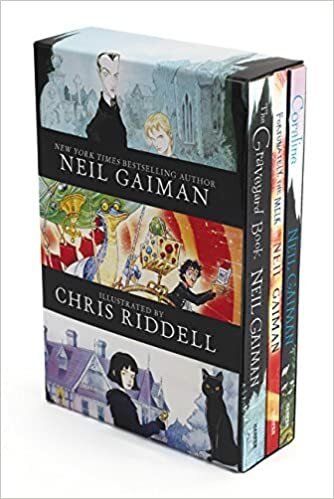 It's the month that the Chris Riddell-illustrated boxed set of my children's books comes out in the US, for example. It's still ridiculously cheap on Amazon, for three books you could not previously get in these editions in the US. 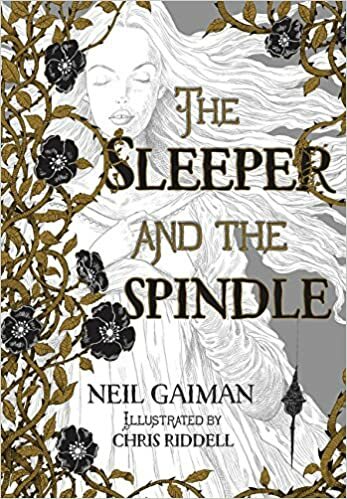 It's the month that The Sleeper and theSpindle is released in the US. And, more personal for me even than these, it's the month that the Humble Bundle happens. You know what a Humble Bundle is, don't you…? It's a bundle of Digital Stuff (usually games, sometimes eBooks or Graphic Novels) that goes out to the world on a Pay What You Like basis. Sometimes you can get hundreds of dollars of stuff cheaply. But I think it's fair to say there will never have been a Humble Bundle like this before. Why ever is that? you wonder. Ah, you will have to be patient. It's going to be remarkable. I'm going to be away. So I'm planning to learn how to use the various timed posting things on Twitter and Facebook and here on the Blog. People will think I am back from the woods, but no, I won't be. Magical timed postings will be going up to let people know what's happening.